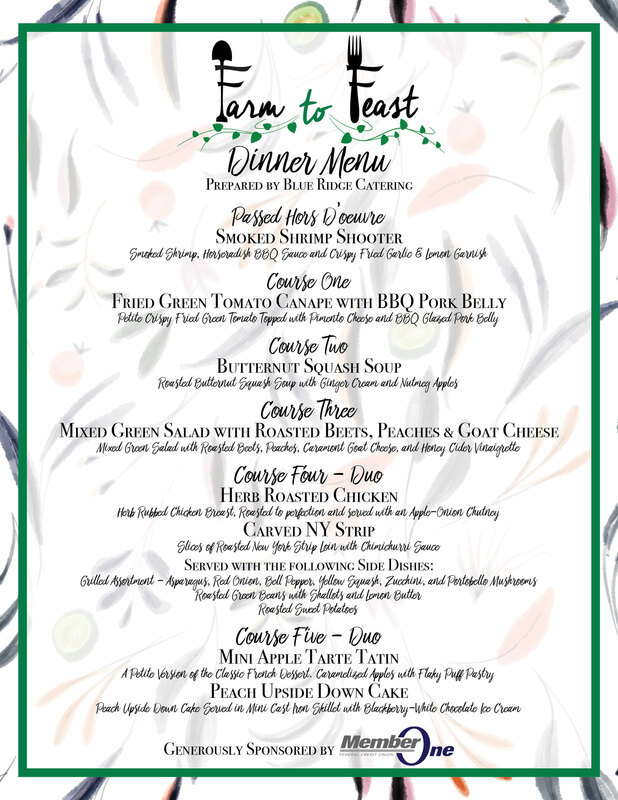 Thanks to all who attended Farm to Feast 2018. Stay tuned for future dinner announcements. In the event of inclement weather, the dinner will be moved to Charter Hall (3rd floor of the Roanoke City Market Building). Farm to Feast is sponsored by Member One Credit Union. Proceeds benefit The Historic Roanoke City Market.